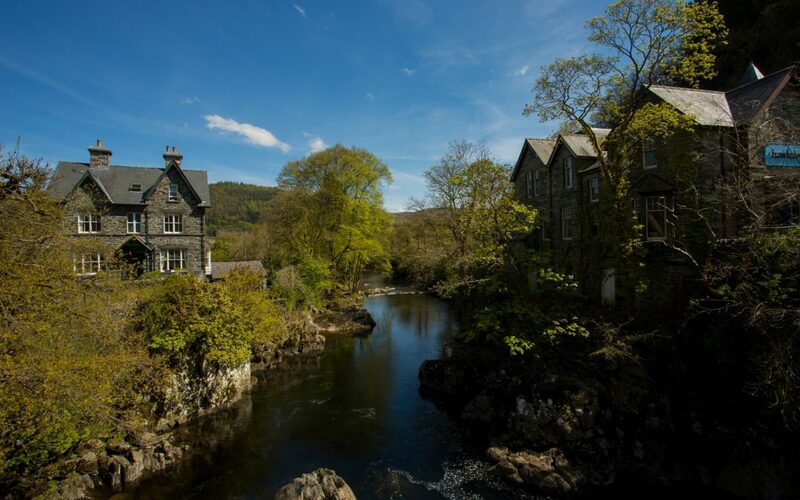 The Glan Aber Hotel is the perfect place to stay if you are holidaying in the Betws Y Coed and Snowdonia areas. We are situated in the heart of the beautiful landscapes and popular tourist attractions of the Snowdonia area, with a unique shopping experience only a stone’s throw away. Betws Y Coed may be a relatively small village, but the list of fun outdoor activities is nearly endless. So as we enter the peak of the summer period, having had some truly amazing weather already, let’s look into the activities available that get your outdoors and enjoying the summer sunshine! Zip World is home to the fastest zip line in the world and the longest in Europe. Whizzing through the historic Penrhyn Quarry and flying over the stunning quarry lake at 125mph is something everyone should experience at least once. Alternatively, Go Below is a unique experience that allows you to explore what goes on underneath Snowdonia. There is fun to be had for everyone as you bounce across a series of trampolines with nothing but abandoned mines underneath your feet! Swallow Falls attracts a large number of tourists who are keen to photograph the power of this beautiful waterfall. This is where the Afon Llugwy meets the ancient rocks as the water cascades down and froths before graceful moving through the Snowdonia countryside. Swallow Falls is incredibly easy to find and is the perfect starting point for a long day out in Betws Y Coed! Home to the National Mountain Centre at Capel Curig, Plas Y Brenin is attractive to the more active visitor. There are plenty of outdoor activities to choose from at Plas Y Brenin; choose from hill walks, canoeing and kayaking, mountain biking and more! There is so much more to see and do around Betws Y Coed and Snowdonia, as well as regular entertainment at The Glan Aber Hotel, such as open mic nights, DJ’s, and beer festivals. If you would like more information on the entertainment and activities of Betws Y Coed this summer, do not hesitate to contact us or ask one of the staff during your stay!